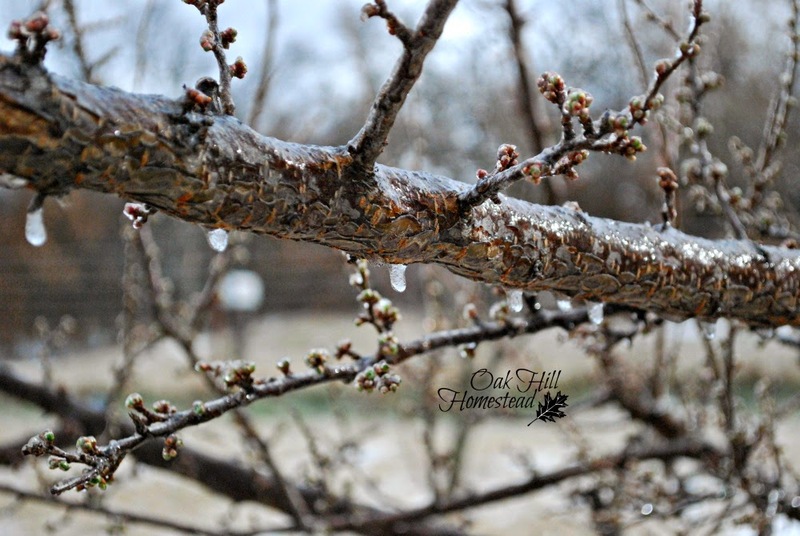 Unfortunately, the warm weather we had before the storm - several days in the 70's in both January and February, even hitting 80 degrees and breaking records - fooled our dwarf plum trees into thinking it's spring and time to bloom. 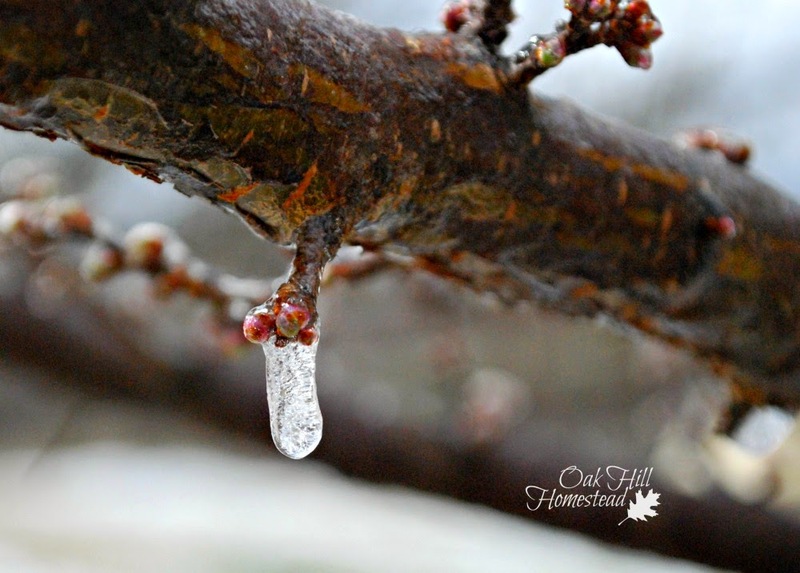 Our trees began leafing out on Monday morning, 2/16/15, and the leaf buds were encased in ice when I went out to feed that morning. On the other hand, we really needed the moisture. Seems like our winter rain has ended up as snow on the east coast this year. This happens very often here in Arkansas, but the trees still produce. Understand, about the rain, we're also falling way short. That's good to hear - thank you! Oh, I hope that doesn't affect the production! 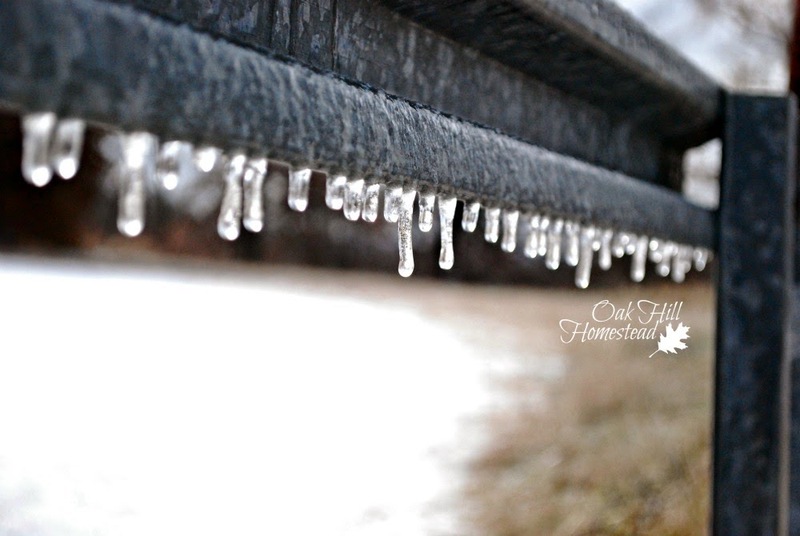 What a beautiful shot of the icicles that last picture is. 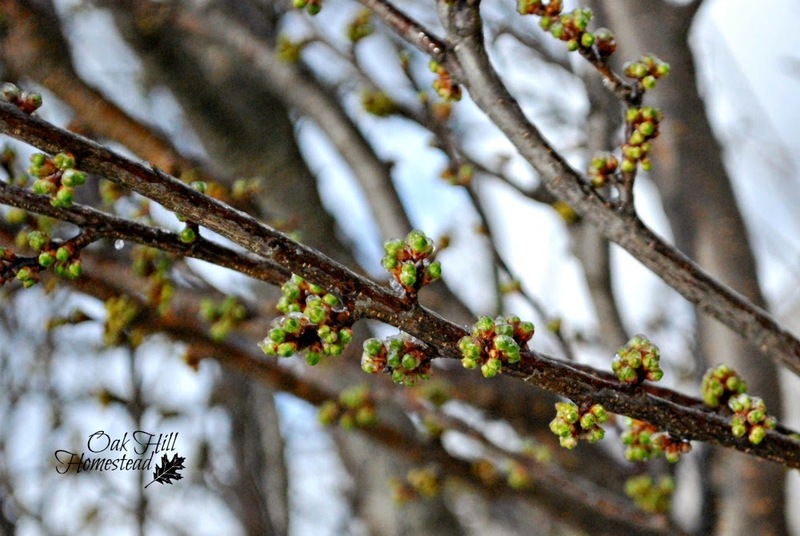 So glad to see you on The Maple Hill Hop. You always add something wonderful. Stay toasty! Aww, how sweet of you, Daisy! Thank you for hosting the hop each week.